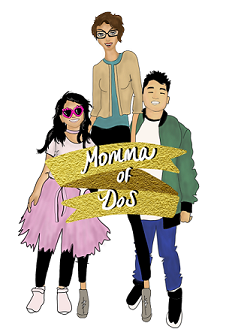 Our second Momma Love Blogger is a young lady who I met not too long ago thru her Sister who just so happens to be one of my most Amazing Momma friends! Patty is her younger Sister. I love Sisters. I love my own so much that I love younger Sisters all around! Patty is a very talented young lady with the CUTEST little Man EVER. [PattyU] Patricia Umanzor, MOMMA of uno [Elijah O’Dell Heath ], full time worker in the oilfield industry, wife to Eric Umanzor for a year this month, September. I make hair bows and I am an amateur photographer! [PattyU]Pregnant at 18, Momma at 19. [PattyU] overall my pregnancy went well I only got nauseas 2 times! And besides that I was very very active! [PattyU]not at all, I actually was still playing soccer for 2 months and I didn’t find out I was pregnant until I was 14 weeks prego. Elijah didn’t come up on my pregnancy test. I took a total of 10 pregnancy test from august until November, and even did blood work and he didn’t come up on any test until November 11th 2008. [PattyU]did it, my son basically walked out of me, I actually went to my weekly check up on a Friday, may 8 2009. I was 38 weeks and I wanted to tell my doctor if we could aim for having my son the next weekend. My apt was at 10 and the doctor didn’t see me until 11ish. I was all ready to to find out the status and if we could have the baby next week, the dr checks and then he said have you felt any pain or anything, I told him no im just ready for this baby to get out. He chuckled and said well your wish is granted your in labor. WHATTTT LABOR, NO I CANT BE I HAVE TO GO TO THE MALL (I KNOW HOW DUMB TO SAY THAT) I was already 4cm dilated. The doctor couldn’t believe I had no idea I was in labor. So he said you have no time go directly to the hospital this baby is coming today. I took a deep breath and said okay I guess he can come today. So I left and drove myself to the hospital lol. I called my mom and sister and they were freaking out. I got to the hospital and started to fill out all the paper work I finally got a room around 2ish. I was just watching Hannah Montana on their tv and talking to the nurses family started getting there. Long story short I had Elijah at 4ish, yupp not 3 hrs into being there I had Elijah J. [PattyU] no I was very scared, I thought I was going to be in so much pain, I thought I was going to scream, cry, curse, faint, but nope I had him like a pro! How was your first year as a Momma? [PattyU] not what I expected! I was a teen mom and lost out of my mind. After I had Elijah I got PPD (postpartum depression) I was a mess. After 3 months it slowly wore off and I started to enjoy motherhood the best I could. I had a lot of help from my mom and sister. I was very blessed to have my mom that basically supported Elijah and I. Elijah’s 1st year was basically the year of ups and downs. I thought his dad would take a bigger role in his life than he did but I came to realize that as long as Elijah has a loving mother than he isn’t losing out in anything. I surely had to grow up and mature myself a lot sooner but I wouldn’t trade him nor being a mother for anything in the world! Was it all that you expected? [PattyU]Not at all, I sound so clique and like one of the girls on teen mom but I really thought his dad would take a bigger role, that Elijah would sleep all night. But once you have a baby you realize it isn’t all rainbows and butterflies. I also didn’t expect to fall in love like I did. He was perfect to me!